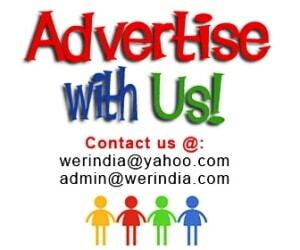 Embroidered waistcoat– Ethnic Waistcoats in bright colors and patterns are great to wear with plain kurta’s. And if you want to add a bit of fusion touch, then try wearing this combination with regular tapered denims or distress jeans instead of wearing them with churidaar’s. Don’t forget to wear bindi and statement traditional earrings to complete this look. Kurta set– Ditch your denims and western wear for a day and go for matching kurta suit set instead. Pair with Ethnic accessories and Indian footwear like jutti or kolhapuri chappal’s. 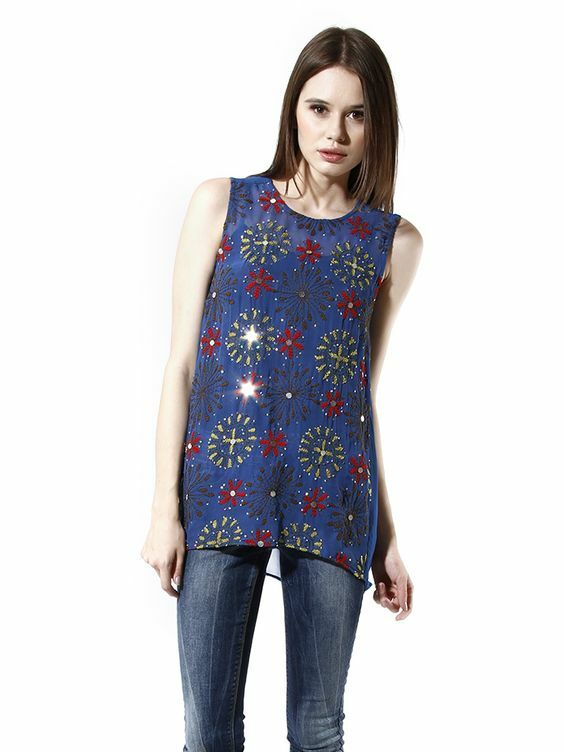 Emroidered Kurti– Kurti with traditional embroidery details like phulkari is a perfect thing to wear with the denims. You can choose tone on tone shades for a subtle look, or can go for bright and colorful shades for which the Phulkari embroidery is known for. 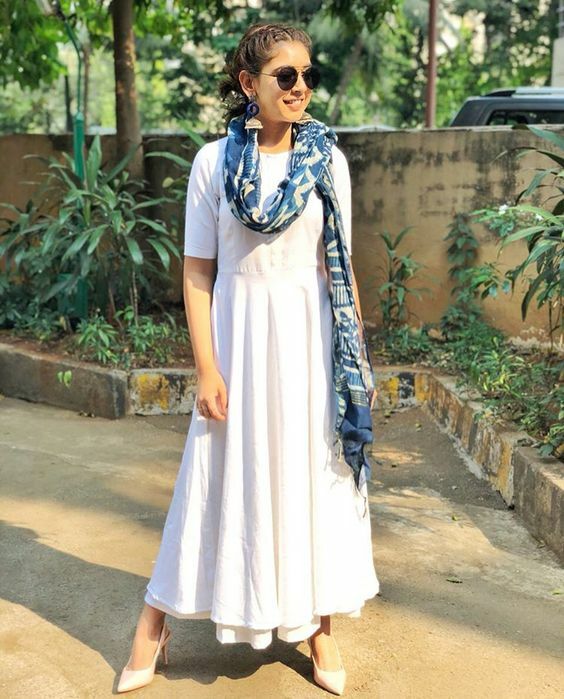 Traditional scarfs– Stoles and dupatta‘s in traditional prints and embroideries can be paired with a T-shirt and denim to add a bit of the festive feel. Wrap it like a scarf or just throw it around the shoulders causally. 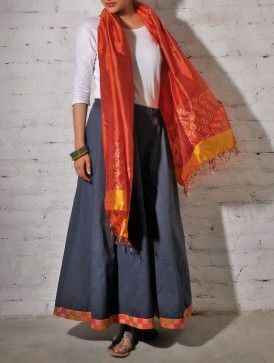 Traditional skirt– Ethnic skirts will look great if you pair them with fitted tops. 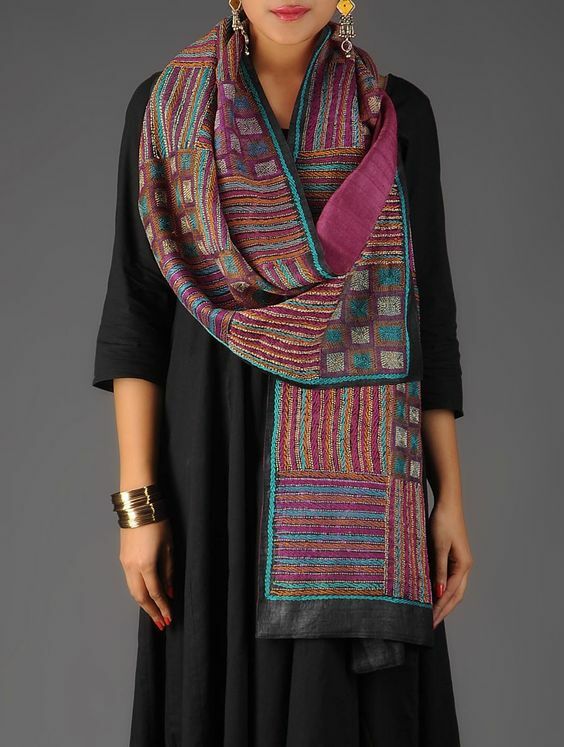 Drape a silk or cotton dupatta around the neck and you are all set to go. 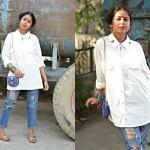 Accessories like Bangles and silver jhumkas will look great with this outfit. The dress look– Any formal dress which you can wear to office, can be paired with a traditional stole or a dupatta. 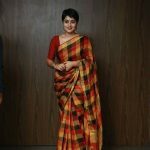 Saree– A saree never fails to impress, just accessorize it a little bit and it will be the best thing to wear on a festive occasion like this.